If durable solutions are not found soon, extremist political factions are likely to gain ground as social frustrations increase. Kathmandu: Nepal has plunged headlong into another political crisis after both the main opposition party as well the Madhesi parties rejected the constitutional amendment proposal registered in the Nepali parliament by the ruling coalition. The proposal brought by the coalition of Nepali Congress and the Communist Party of Nepal (Maoist Centre), incorporating four disputed constitutional issues – those related to federal boundaries, citizenship, representation in the upper house of federal parliament and official language – was rejected outright by the Communist Party of Nepal-Unified Marxists Leninists (CPN-UML), the main opposition and the second biggest party in parliament, which termed the proposal “anti-national”. The United Democratic Madhesi Front (UDMF), the coalition of Madhes-based parties that have been protesting against the new constitution since it was promulgated over a year ago, also refused to accept the “incomplete” amendments. If the UDMF persists with its opposition, it will render the amendment proposal moot, since it was brought with the one and only goal of addressing the concerns of Madhesi parties. But there is also no other way out. Without amending the constitution to the liking of the Madhesi, Tharu and other protesting forces, there is no possibility of holding the three sets of elections – local, provincial and federal – that are be held by January 2018, according to the constitution. If these elections cannot be held on time, there will be a big question mark over the constitution’s legitimacy. As things stand, the possibility of timely elections is slim. The first of the elections, for local bodies, was to be held by the end of December. The ruling coalition was given to believe that if the amendment proposal was tabled, the Madhesi parties participate in the local elections (if only to “test the water” for the far more important provincial and federal elections). But it appears that at least a sizable section of the UDMF is intent on holding out for more concessions. The proposed amendment provides for two Madhes-only provinces: province two and province five. This was done by removing six hilly districts from province five (province two was already Madhes-only). The new proposal was that the fate of the five remaining districts in the Tarai belt, which are not covered by province two and province five, be decided by a future federal commission. But the UDMF wants an immediate settlement for these five disputed districts as well. 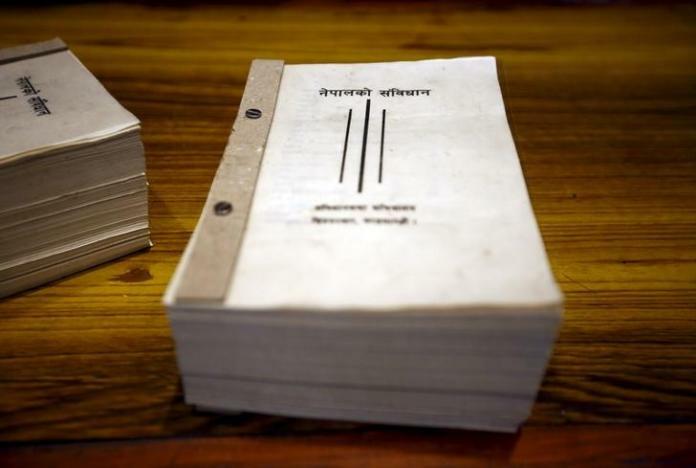 On the other three disputed constitutional issues, barring a few dissenting voices, the Madhesi parties seem satisfied with the proposed amendments. On citizenship, foreign women married to Nepali men would now be eligible for Nepali citizenship when they renounce the citizenship of the country of their origin. On official language, all mother tongues are to be included in the annexe of the constitution at the recommendation of the Language Commission (which is already in existence). On representation in the upper house of federal parliament, a total of 56 members will be elected from the seven provinces on a population concentration basis, provided that there are at least three members from each province. But then again, federal demarcation is the central issue. Many in Kathmandu are of the view that if the amendments are passed, the Madhesi parties will, ultimately, accept them ‘with reservations’. If their demands are only partly addressed, they will have strong agendas going into the next election cycle. In this reading, whatever their stated positions, the Madhesi parties don’t want to sort everything out right now. The same with K.P. Sharma Oli’s UML party. The second biggest party in parliament has stood vehemently against the amendments, especially the decision to break off six hilly districts from province five. The stated UML position is that there is no need for amendments since the new constitution already adequately addresses the concerns of all sections of the society, Madhesis included. Oli, a former prime minister, has been able to command a big following among hill communities with his nationalist rhetoric. Although it does not frame the issue as bluntly, UML has been trying to convince Nepalis that the ‘amendment drama’ has been orchestrated by New Delhi so that it can keep the plains-only provinces under its thumb. In fact, UML has been rather successful in portraying the Madhesi parties as ‘India’s stooges’ to its core supporters. This explains UML’s rigid stands on all four disputed issues. The opposition and Madhesi parties have their electoral calculations, as do the ruling Congress and the Maoists. The ruling coalition seems to believe that their efforts to amend the new constitution and break the political deadlock will be rewarded with votes. But what is also true is that there is significant resistance in the six hilly districts that are being hacked off from province five. Following the registration of the amendment Bill in parliament Tuesday, there have been spontaneous and sizable protests in these districts, with people from all walks of life taking to the streets. Even local leaders of the Congress and Maoist parties that brought the amendment proposal are involved in these protests, as are members of local business communities and civil society. They are protesting as they don’t want to be separated from the Tarai districts and thus increase their distance from the Indian border. After last year’s border blockade, they fear that in the event of more disturbances in Madhes, the upper hilly provinces could be held to ransom by the lower Tarai provinces. Another concern is that the main business hub of the region, Butwal, will remain in province five. To further complicate the picture, Baburam Bhattarai’s Naya Shakti Nepal and Yadav’s Federal Alliance, a rainbow coalition of Madhesi and Janajati outfits, on November 27 issued a joint statement, demanding, among other things, a ‘directly-elected executive president’. This long-settled constitutional issue being raked up again is being viewed rather suspiciously, as Naya Shakti and Federal Alliance enter merger talks ahead of the elections. But even amidst all this confusion and chaos, a few things can be safely inferred. One is that irrespective of whether the constitution is amended or not, the political crisis in Nepal will continue to drag on for the foreseeable future. In the worst case scenario, there will be no elections and a serious constitutional crisis will ensue after January 2018. But even if the constitution is successfully amended and political parties do agree on the polls, with Nepali society so badly polarised, extremists forces could prevail in these elections. Many Nepalis are starting to lose patience with the mainstream actors, who seem happy to muddle through the confusion. As if to cash in on this souring public sentiment, the two parties comprised of former functionaries of the monarchy have now united under the Rastriya Prajatantra Party (RPP) banner. The new party, now the fourth biggest in parliament, has made restoring the Hindu state its main agenda. No one should be surprised if the united RPP, with its promise of restoring the ‘sacred land of Hindus’ and eventually bringing back the ‘stabilising institution’ of the monarchy does well in future elections. In Tarai-Madhes too, anecdotal evidence suggests that the appeal of the Madhesi academic C.K. Raut, with his agenda of establishing Madhes as a separate country, is increasing, especially among young Madhesis. Many Madhesis don’t trust the hill-origin leaders in Kathmandu, nor do they feel inclined to support the group of Madhesi leaders who seemingly did nothing good for Madhes in their repeated tenures in government. So, they increasingly question, why not give outsiders likes Raut a chance? Competing for popularity against the likes of Raut in Madhes, the position of even mainstream Madhesi parties is sure to harden come election time. The longer the political deadlock prolongs, the greater will be the appeal of these radical forces. So it is in the interest of all the mainstream political actors, especially those who agree to the changes brought about by the popular movement in 2006, to somehow work out durable solutions to outstanding constitutional issues– and soon. 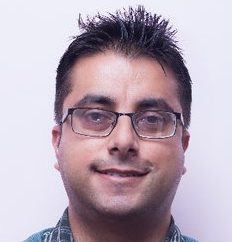 Biswas Baral is a Kathmandu-based journalist who writes on Nepal’s foreign policy. He tweets @biswasktm.